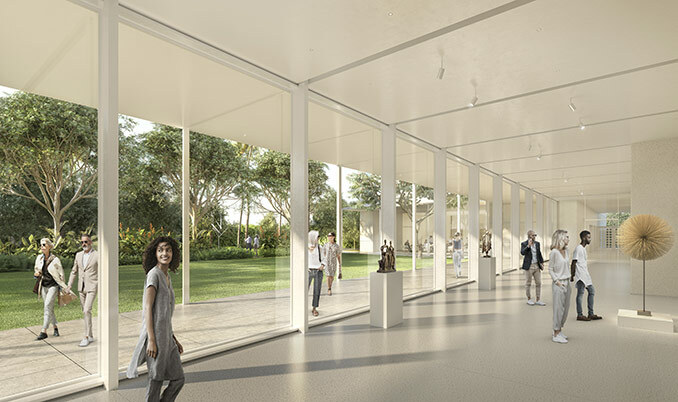 The Norton Museum of Art unveiled the design plans for the first public garden designed by Pritzker Prize-winning architect Lord Norman Foster. 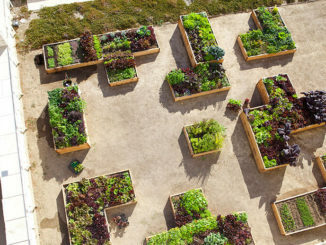 The sub-tropical garden and green space includes the Pamela and Robert B. Goergen Garden, which will feature 11 significant gifts of art from the couple. Native flora will surround The New Norton—the Museum’s $100 million, Foster + Partners-designed expansion project—to reinforce the relationship between the building and the landscape, and serve as a new social space for the community. 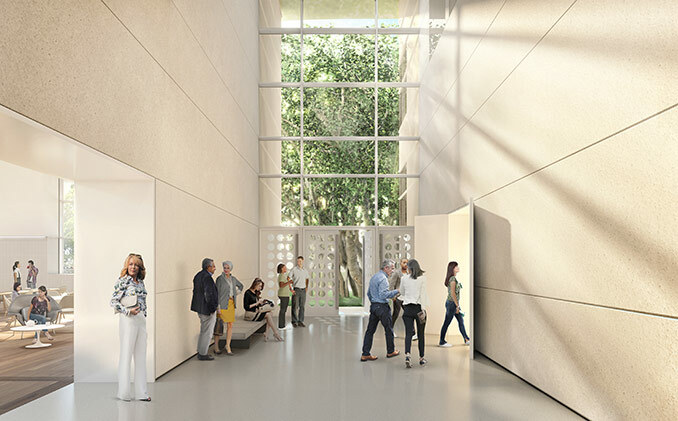 The new landscape will echo this spatial concept of the masterplan—a series of elegant Art Deco-inspired pavilions ringing a central courtyard—by creating a series of “garden rooms,” which will be arranged axially along the Southern edge of the Museum. 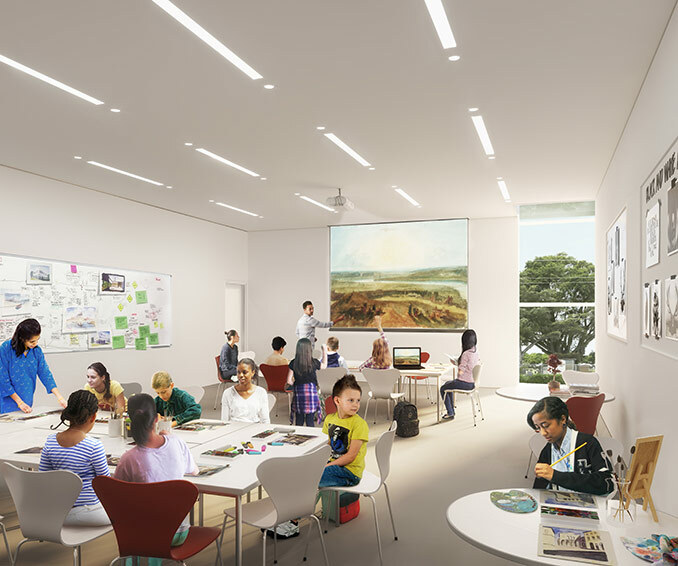 Each room will be formed by native trees and plantings and will feature thematic groupings of sculptures, including works by Keith Haring, George Rickey, and Mark di Suervo, among other important contemporary artists whose work will enter Norton’s permanent collection for the first time. 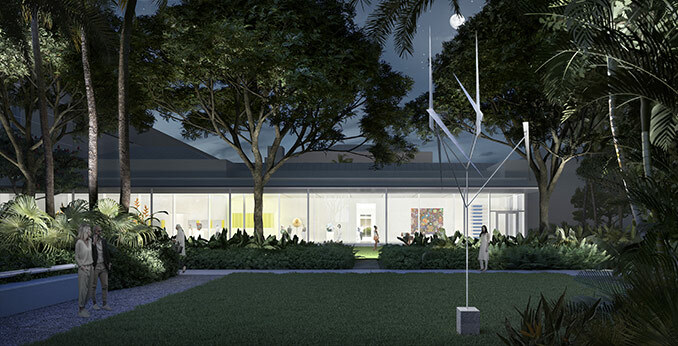 In addition to the garden, the 6.3-acre campus will also feature shaded walkways, created from native trees and flowers, and a new great lawn, which will provide an open-air venue for the Museum’s popular “Art After Dark” program, as well as other live performances, film screenings, and events. 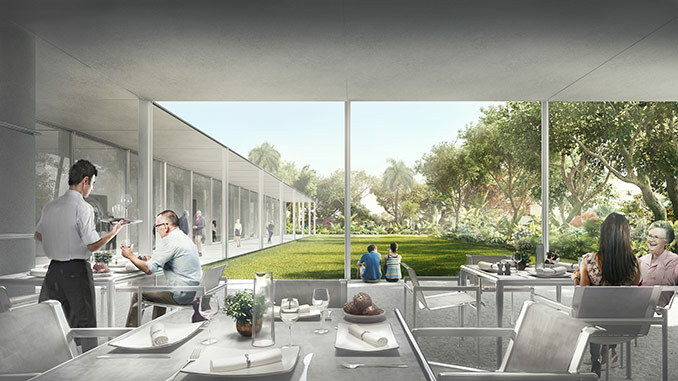 The glass and steel colonnade in the J. Ira and Nicki Harris Family Gallery will provide expansive views of the garden from inside the Museum. Eighty-two mature trees, including eight mahogany trees that have been sourced from across the state, will be planted on site to create a mature garden when the Museum reopens to the public in February 2019. 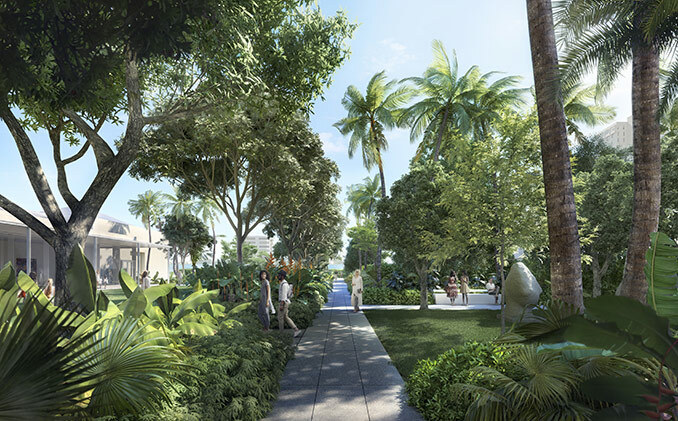 A majestic banyan tree, which was planted when the Museum opened in 1941, and was the inspiration for the Foster “museum within a garden” design, will anchor the Museum’s new entrance on South Dixie Highway. The expansion’s unique roof curves around the tree’s canopy and shades the inviting entrance plaza, which ushers visitors into the Museum and onto the campus.